If you have decided on a beach wedding (lucky you! ), it is time to start thinking about your invitations. You will want to carry your beach theme into every area of your wedding planning to create a cohesive, unique, and memorable theme. Invitations set the tone of your wedding, and can get your guests excited about your beach theme. If you have always dreamed about having a beautiful beach wedding, but haven’t found the perfect venue, Beach Weddings Alabama has all-inclusive wedding packages that can give you your perfect beach wedding. If you are in Orange Beach and are looking for somewhere to realize your beach wedding dreams, contact us to start planning your event. Read on for great ideas on how to make invitations that are perfect for your beach wedding! Carry an ocean theme into your invitations with blues, greens, and the color of the sea. A backdrop of a crashing wave, or water gently lapping at the shore are a perfect way to introduce your beach wedding to your guests. A calming background of soft blues provides a subtle backdrop and looks elegant when paired with crisp white writing. You could also highlight the brilliant blue of the sky over the ocean, and contrast it with a vibrant green sea. An underwater background is perfect for a beach wedding, and watercolors offer an interesting way to convey your water theme. Whatever you choose to do, blue is a great color for beach wedding invitations! Incorporating shells into your beach wedding invitations also sets the mood and emphasizes your theme. Shells could be used along with the color blue, and provide great contrast. 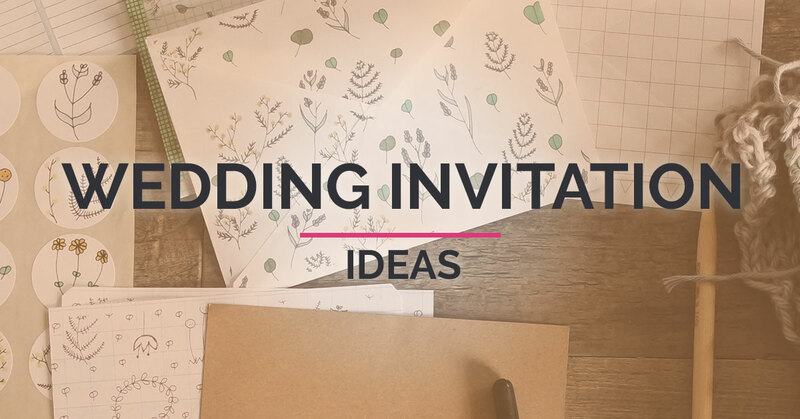 You could have a few small, loose shells in the envelope along with the invites, or you could incorporate shell designs into the words on the page. A small starfish looks amazing tied around an invitation, and starts getting your guests excited about the beauty of the beach. Using raffia, or other natural, beach-inspired materials can be the perfect complement to using shells on your invitations. Sand dollars are also great representations of the beach, and can be used on the invitations or the envelopes. The classic nautilus design is always a great emblem of the ocean, and a photo of beautiful spiral shells could also set the beach mood. Along with shells, using other sea creatures to set the beach wedding theme is a great idea. Dolphins, whales, turtles, jellyfish, seahorses, octopus, and all the different varieties of fish can be incorporated into your invitation design. If there is a special sea creature that has meaning for you and your spouse, by all means, use it! Your guests will love receiving a unique, special invitation announcing your beach wedding. Sand is another emblem of the ocean, and incorporating it into your beach-themed invitations can get your guests excited for your unique wedding. Sand could be in a small vial inside your invites, taken from your favorite beach or your wedding venue. A photo of writing in the sand, whether it is your initials or hearts, can also conjure up romantic images of the beach. Footprints in the sand are also a classic way to convey the beach and inspire your guests. Some of our wedding packages at Alabama Beach Weddings include a “Two Lives Become One” unity sand ceremony, and sand in the invitations foreshadows this beautiful and meaningful part of your wedding. There are few things more romantic and inspiring than a sunset on the beach. Your invitations can capture the awe and beauty of a beach sunset, and get your guests excited for the wonderful ceremony to come. A sunset photo provides a great backdrop for your wedding details! Especially if you would like to have a more casual beach wedding, flip flops can perfectly capture your laid-back beach theme. You could make the entire invitation in the shape of a flip flop, or use flip flops in your design. Going a step further, you could print your invites on a flip flop, and give your guests an awesome, unique invitation that they could even wear to the wedding! Flip flops perfectly represent relaxation at the beach, and can take your invites to the next level. A nautical theme can be a great way to introduce your wedding with crisp whites and deep navy blues. Anchors, waves, ship’s wheels and ropes all are part of the nautical theme, and can be perfect for beach wedding invitations. Stripes are another iconically nautical theme, and using blue and white stripes on your invitations, or subtly inside your envelopes, can give your invites that unique edge. Another great iconic beach image is that of the palm tree. Using a photo of palm trees on the beach, or using a background of palm fronds are great ways to emphasize your beach theme. A palm tree silhouetted against a sunset conjures up that romantic beach vibe. Utilize the natural beauty of palm trees to conjure up images of the beach and ready your guests for an amazing beach wedding! Okay, this is a wedding invitation idea that will really leave an impression! Fashion your invites into a message in a bottle, and roll up a weathered paper in a small (plastic) bottle that can be corked and sent to your guests. This will truly be a unique invitation that they will remember. Including some small shells or sand inside the bottle will only add to the beach theme and leave your guests excited for what else is in store at your wedding! You can make your own message in a bottle invites, or there are many companies that can make them for you. Go the extra mile with your invitations by choosing to send a message in a bottle! Whichever option you choose, you are sure to get your guests excited for your beach wedding! A beach wedding is a memorable event, and can make your special day that much better. If you are planning a beach wedding around Orange Beach and still need the perfect location, contact Alabama Beach Weddings to secure your date today!